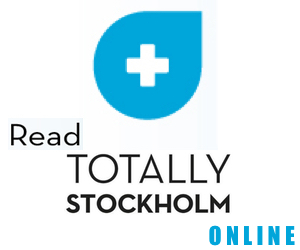 How will the casino gambling law in Sweden affect me? On January 1, 2019, a re-regulation of any existing Swedish gambling laws as well as the entire gaming market came into force. Besides requirements for a Swedish gaming license being introduced, casinos also have a gross gambling revenue tax rate of 18%. Players will not be taxed on winnings so as long as they have played at a casino’s holding a valid license. Moreover, the legal framework calls for higher consumer protection, containing or mitigating the negative effects of gambling and ensuring gambling is not used to support for criminal activities such as money laundering or any other type of illicit activities. It also introduced a new offence, gambling fraud. The Swedish gaming license was introduced with the aim of creating a market which is sustainable and safer. Any transactions between players and unlicensed operators may be blocked and rendered void. Casinos online having their operations outside Sweden were also affected as they too need to fully conform with all the requirements stipulated in order to offer services to players in Sweden. 2019 may prove to be a trial period for the elaborate law. There are already many players who are active including operators like Leo Vegas and Betsson, as well as newer casinos such as Casumo and Ninja Casino. Market participants started applying for their license in August 1, 2018. The license is valid for a set period of up to five years. There are also requirements in other areas such as marketing, technology and tax. License prices range from 400 000 – 700 000 SEK. 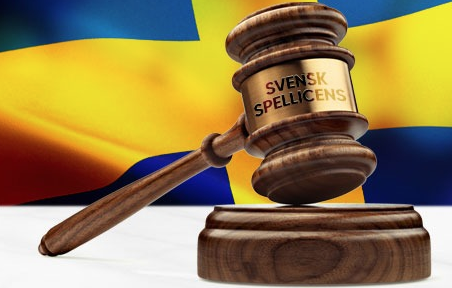 The Lottery Inspectorate estimates that operators without a Swedish license should have invested SEK 5.5 billion in gaming advertising (Source: Spelinspektionen.se) in 2017. Compared to the previous year, this was an increase of 43 percent. The increase in advertising for gaming companies and casinos has been part of a continuous upward trend in 2018, primarily because operators want to position themselves and preserve market shares prior to this year’s re-regulation. The new gaming law lays out regulations for marketing and advertising. Under no circumstances may the licensee’s marketing be directed to persons under the age of 18. The gambling authority, Lotteriinspektionen, may intervene if the requirements for marketing are not followed by the license holders, otherwise the entire onus for responsible advertising falls on the gaming companies. The re-regulation also dictates maximum transparency for license holders, which is applied in commercial advertising. This obligation includes clear information about the minimum age to play and contact information for organization that provide information and support in connection with gambling problems. Commercial radio messages are exceptions to this information obligation. The issue of legal age limit carries significant weight. License holders must ensure compliance with the gaming business to protect players from excessive gambling. Players must be able to bar themselves from playing; all bonuses will just be available only the first time the player signs up – all subsequent bonuses will not be allowed. Bonuses without wagering requirements can be offered but as with all bonuses, there can be no subsequent casino bonus offers other than the first one. This will radically change the entire bonus system and casinos bonus promotional that players are so familiar with; high roller bonus, reload bonuses etc will no longer be available. The law also means that license holders must display clearly all relevant information and requirements about the game. This information must be in Swedish. It is not possible to say how the re-regulation of the Swedish license for gaming operations will affect the market in the long term. The gaming license was designed for players’ safety and to place greater responsibility on operators and game providers for their products and services. Already now we can see just how seriously many online casinos are taking this- websites have been rigorously updated to include information about responsible and gaming abuse.